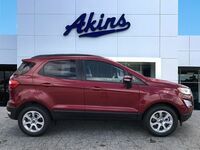 The 2018 model year saw the introduction of a few all-new debuting Ford models, one of which is the 2018 Ford EcoSport lineup – which we’re proud to offer right here at Akins Ford near Atlanta, GA. 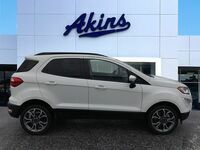 While it’s only been on our Akins Ford lot for a short time, people are already falling head over heels in love with Ford’s newest compact SUV. 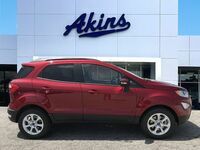 And it’s not hard to see why, either, considering the 2018 EcoSport lineup takes everything you’ve come to know and love about Ford SUVs and wraps it up in an easily maneuverable, efficient, capable, and fun to drive package. With all that in mind, let’s see how the all-new EcoSport lineup stacks up against its toughest competition in this 2018 Ford EcoSport versus 2018 Chevy Trax head-to-head model comparison. 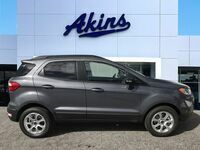 166 HP & 149 lb-ft. Top Power Ratings 138 HP & 148 lb-ft.
As you can see in our 2018 EcoSport versus 2018 Trax head-to-head comparison table above, the all-new Ford EcoSport lineup holds some pretty significant advantages over the new Chevy Trax lineup. 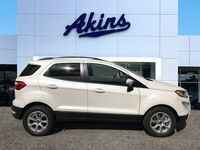 And it all starts under the hood, where the 2018 Ford EcoSport lineup offers up to 166 horsepower and 149 pound-feet of torque while getting up to 27 miles per gallon in the city and 29 miles per gallon on the highway. Conversely, the 2018 Chevrolet Trax lineup offers up to only 138 horsepower and 148 pound-feet of torque while getting up to only 25 miles per gallon in the city and 33 miles per gallon on the highway. Inside, the two models are pretty similar in terms of passenger space and cargo capacity. 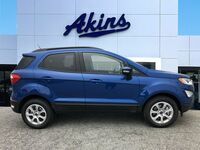 The 2018 Trax lineup holds a slight passenger space advantage – 92.8 cubic-feet to the 2018 EcoSport lineup’s 91.1 cubic-feet – but the all-new EcoSport lineup holds a distinct cargo space advantage by providing 20.9 cubic-feet of cargo space when the rear seats are up and 50 cubic-feet of cargo space when the rear seats are folded down, while the 2018 Trax lineup provides only 18.7 cubic-feet of cargo space when the rear seats are up and 48.4 cubic-feet of cargo space when the rear seats are folded down. 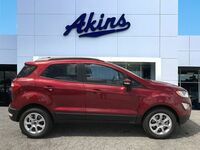 For more on the 2018 Ford EcoSport lineup, please contact our staff here at Akins Ford near Atlanta, GA.